Two shows for the Saturday that’s coming up – both donation-based, both community-minded, both flexibly soft around the edges. And both well worth attending. 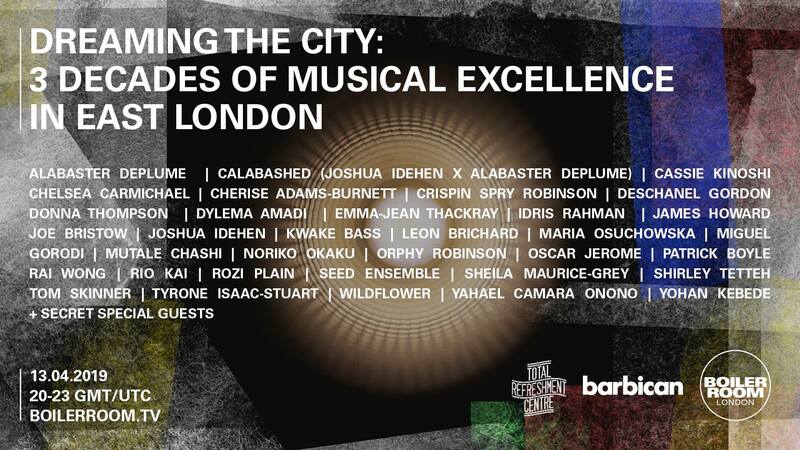 The summer return of London’s Daylight Music sessions continues with this triple-bill-plus-piano-guest afternoon. 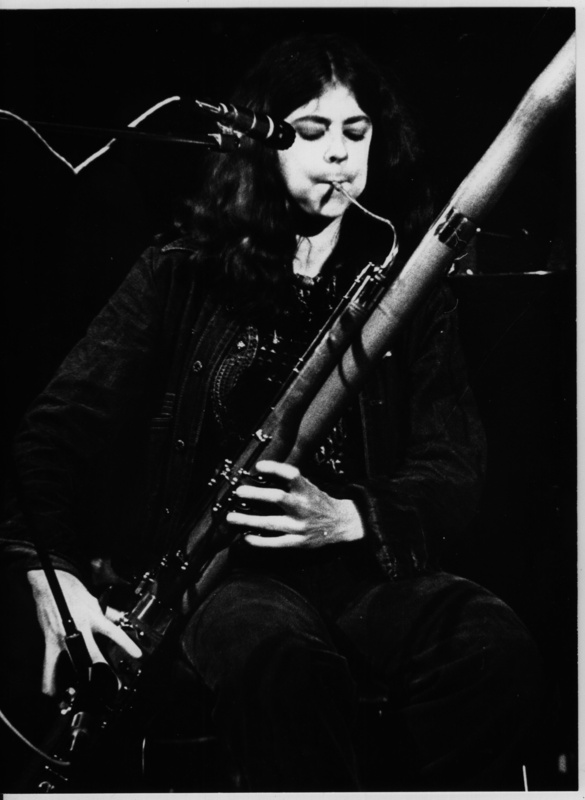 “Bouche is the deeply emotive and beguilingly timeless music of double bass player and singer Rebekah Bouche, accompanied by trumpet /flugelhorn and electric guitar. The songs are a kind of ‘blue-jazz hymnal’; the honesty and rawness of the blues, with melodic salutes to early jazz and a sense of pathos and drama that nods in the direction of 18th/19th century hymns and British folk. The unusual instrumentation makes for a delicate, tantalisingly sparse sound that winds prettily around the lyrical themes which, though mostly melancholic, are often delivered with a wink and a smile. The debut Bouche album, ‘So Long Solemn’, was released this spring. “Cinematic songs, fireside percussion, ghostly harmonies, and T.V. static dreams: The Kindling make sad, strange and beautiful music, like the crack in the window that makes a rainbow, a dark, dusty corner or the last wave that takes her initials with yours from the sand. Presenting widescreen, blissed-out melancholy London alt.folk (and drawing influence from the guerrilla recording spirit of Sparklehorse, Mount Eerie, and Tom Waits), they were formed in 2011 to breathe life into the acoustic songs of Guy Weir. Their introductory EP ‘From Out Of The Wreckage’ was followed by a second EP, ‘Half Light’, in 2013. Their latest release is the 2015 full album ‘By Morning’. There’s a horticultural/preservational feel to the evening, with half of the door proceeds going to the Gowanus Canal Conservancy Group (working on and for the polluted and contested Brooklyn canal which neighbours the venue, with the aim of turning its shores into a public park). ‘Donkey Donkey’ (also featuring contributions from Rokenri’s Bennington College/Brooklyn pals Stephen Markow, J.J. Beck and Michael Chinworth) is available to download now, with the vinyl edition following in mid-June. 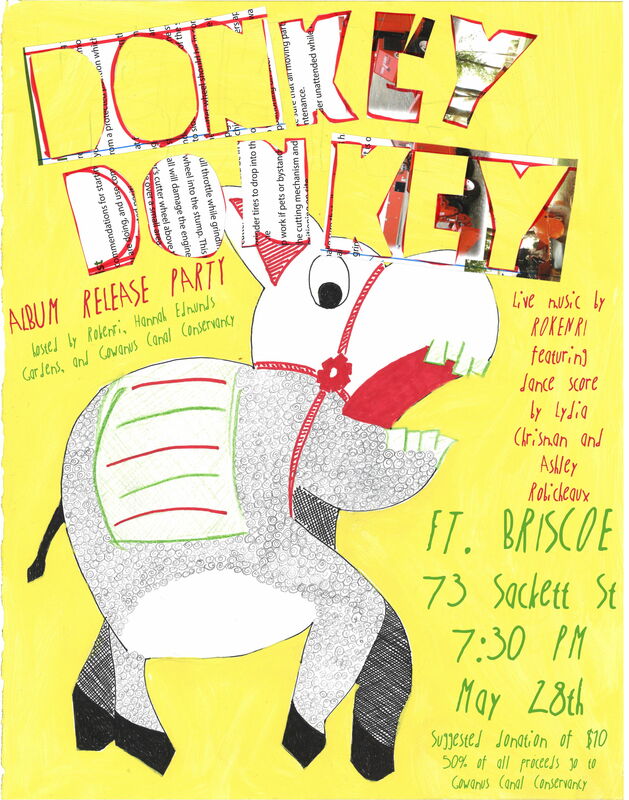 Here’s the recent single – Sullied Tied – one of my own album favourites (Love Takes Time), and a clip of the band rehearsing another ‘Donkey Donkey’ track (Your Arms Are Real) at Briscoe. Italian musician and songwriter Sterbus (whose ‘Smash The Sun Alight‘ mini-album features in one of ‘Misfit City’s most-read reviews) will be playing a support slot at the Rome date. Promising a mixture of originals plus “some familiar surprises”, he’s fielding a semi-unplugged trio of himself on voice and guitar, regular sidekick Dominique D’Avanzo on vocals, clarinet and harmonica and Noel Storey (of St Albans lo-fi indie pop band The Pocket Gods) on piano and synth. Three video clips (two Drakes, plus a Sterbus) are below. The first is a full-band Drake recording – live in the studio – of To My Piano, capturing the folk, Early English and chapel-songbook aspects of his baroque pop songwriting to full effect (as well as some of the warmth of his live shows). The second is a recording of him playing his solo piano study The Moth Surrenders To The Flame, a deeper immersion in his classical side. 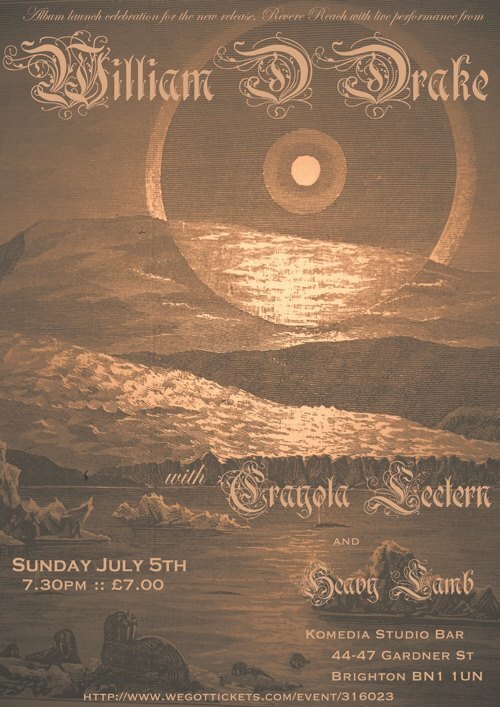 The third is Sterbus’ recent cover of the Cardiacs song Gina Lollabridgida, which eases away the original’s frenetic New Wave rush in favour of a summery acoustic coo while keeping all of its intricacies intact. Sterbus unveiled this version of the song at a London fundraiser for Tim Smith last autumn, while the video itself is a mash-up of some of the finest visual moments from Gina herself on film… so that’s three or four layers of tribute right there. Enjoy. The perpetual vigour and drive of theatrical, multi-disciplinary songwriter Louis Barabbas has seen him dubbed “the hairy Bez of blues harp”, put him to work with Dr. Dog and John Otway, and made him busy with mentoring developing artists, running a record label, and fronting radio shows plus at least three simultaneous bands. He’s currently engaged in a long and winding British tour over the next few months, spattering through spring and into a few bigger summer dates. For now, here are the dates for Louis’ February shows, all of which take place in Scotland and the north of England and all of which are solo (although some subsequent dates will see Louis playing with his Bedlam Six and Ceaseless Horror Band projects). 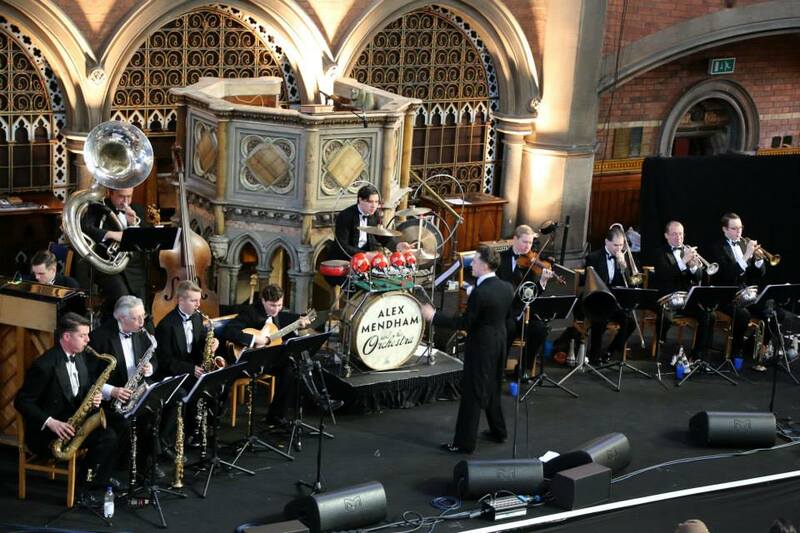 “Alex Mendham & His Orchestra are a truly authentic Golden Age 1920s and 1930s British dance band formed in 2010. These young musicians have been stunning audiences all across Europe, as they perform with boundless passion and energy, with impeccable attention to period detail not only in their music and vocals, but in everything from their original instruments to their hair and attire. Ben See is a singer and composer from London. 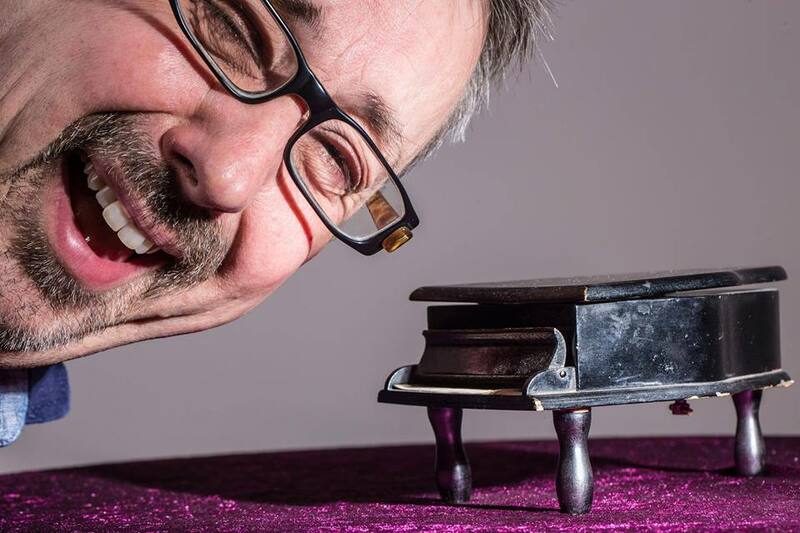 He specialises in vocal music, and more specifically contemporary a cappella. 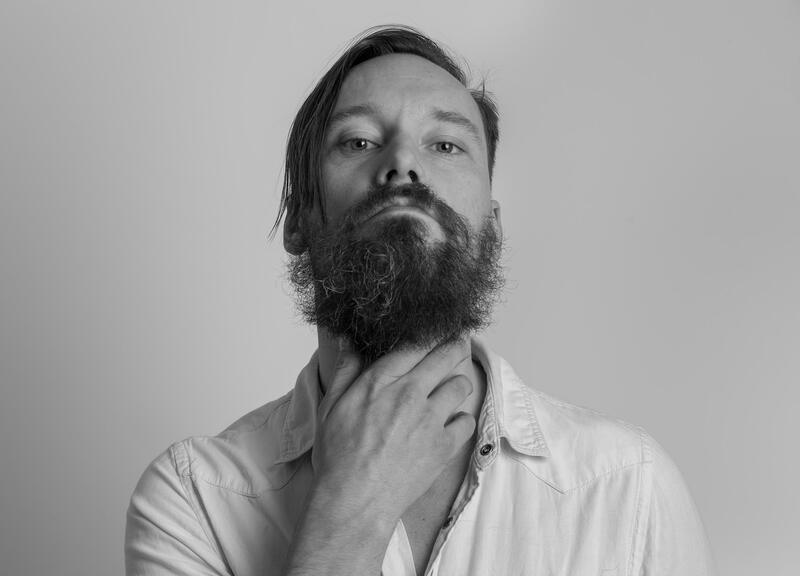 Ben’s musical influences range from the scores of Benjamin Britten to the ever-eccentric Björk, with a small detour via the beautiful song-writing of Brian Wilson and the vocal wizard Bobby McFerrin. Rory McVicar is a musician and songwriter who has been releasing music under his own name since 2005. His first demo found its way into Radio One’s Festive Fifty after heavy rotation on the Huw Stephens and Rob da Bank shows. Since then, he’s released two long players and a clutch of singles, splits and EPs on various indie labels. July brings an American Independence day special to Daylight Music. Piney Gir hails from the American Midwest, home of wide-open plains with sunflowers that go on as far as the Earth curves. The “you’re not in Kansas anymore” jokes never wear thin, because Piney embraces her heritage bringing it with her to the UK, where she’s lived in London for over a decade now (yes, she does have a sparkly red shoe collection and yes, she wears a lot of gingham). She is celebrating the recent launch of her sixth album ‘mR hYDE’S wILD rIDE’, released on Damaged Goods Records on June 8th. Texan guitar virtuoso Rodney Branigan is a multi-intrumentalist who learned to play in Austin, perform in Los Angeles, craft songs in Nashville and put it all together in London. His current album ‘Sketches.’ (written on the road in China, India, Europe, the US and the UK) reflects this diversity, combining laid-back blues and acoustic folk with undertones of rock, flamenco, classical, bluegrass and jazz. His lyrics have an abundance of imaginative substance to them that eclipse many of his songwriting peers. With vocals compared to Jeff Buckley and playing compared to Rodrigo Y Gabriela, the album has been written, arranged and recorded around his renowned ambidextrous live performance. In between, Gemma Champ will play melodies jammed full of stars and stripes; and yes, there will be cookies! There’s a Soundcloud preview here. Bill Drake (the onetime Cardiacs keyboard player turned baroque-solo singer-songwriter) celebrates the mid-June release of his new album ‘Revere Reach’ with what promises to be a typically joyous concert, unfolding new/old sounding original songs both complex and sweet, rampant keyboarding, hurdy-gurdys and assorted friends. A couple of examples are below. Also playing support are Heavy Lamb, a self-styled “loud demented pop” band. 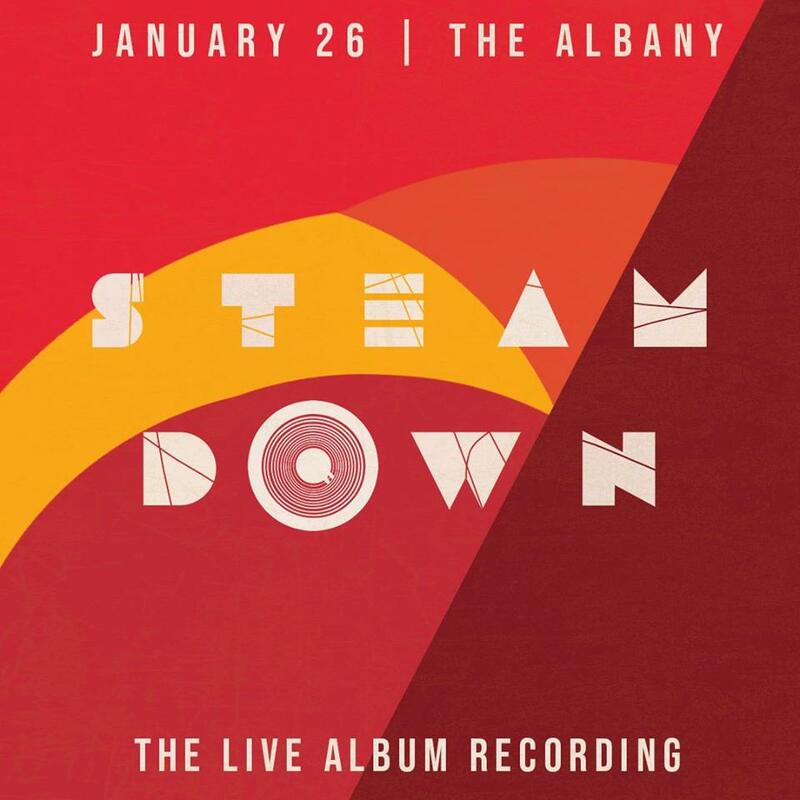 See below for a demo track and for a video of them playing a joyfully received Spratleys Japs cover at the Alphabet Business Convention earlier this year. Tickets for Drake and co. are available here.